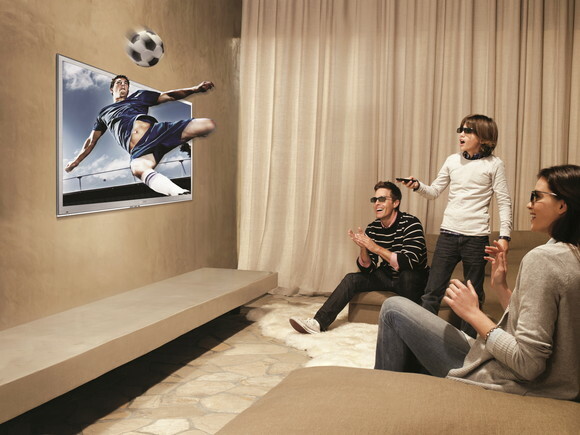 Are 3D TVs Bad for Your Vision? 3D movies have become extremely popular over the last several years, and more Hollywood films are being released in theatres with the option to enjoy them in all their 3D glory. These movies and their characters and settings really seem to come to life before audiences’ eyes, and people are absolutely mesmerised by this incredible technology. Today, 3D television sets are becoming even more common in people’s homes, where individuals can watch 3D shows and films with special glasses from the comfort of their own couches rather than having to go to a movie theatre and pay for an expensive ticket to get in. But are 3D televisions really harmful to your vision in the long run? Should you avoid purchasing one of these TVs for your family because it can have adverse effects on your eyes? When watching 3D films, whether at home or at the movie theatre, our eyes are forced to watch the often 2-hour ordeal while perceiving the images in front of them differently than they normally would. Under normal circumstances, our eyes converge to view things that are close to use and diverge when they need to look at something that is further away in the distance. During both of these processes, our eyes are constantly working on focusing on what is in front of us in order to provide clear, crisp, strain-free vision. Watching television, in general, can put a strain on the eyes, especially if you are used to watching TV shows and movies in dark rooms. This is because the contrast, colours, and brightness on the screen are constantly changing with every scene and movement of characters. Your pupils have to readjust at rapid speeds as a result, and this alone can lead to eye strain and fatigue. But because our eyes have to work overtime to focus on what is going on during a 3D movie, this can lead to several side effects, such as headaches, fatigue, blurred vision, and other symptoms of eye strain, including eye pain and the feeling that your eyes themselves are tired. These symptoms occur because your eyes are seeing both a flat TV at a particular distance while at the same time attempting to focus on the 3D images that are popping out from that screen. On top of that, the rapid action that occurs on the screen forces the eyes to have to move about just as quickly and constantly refocus on what is going on. As you can imagine, your eye muscles have to work harder to allow you to enjoy the experience. If you choose to go ahead and invest in a 3D TV for your entire family to enjoy, consider also getting yourself a high quality insurance plan to cover the costs of repairing or replacing your TV in the event that it is stolen or damaged. Protect Your Bubble TV insurance is just one of many options available for those who are interested in insuring their 3D or HD televisions. Laura Ginn is a technology blogger who enjoys going to the movies to watch 3D films, but she has definitely noticed that her eyes feel tired after enjoying a 3D movie. Therefore, she makes it a point to only go to these types of movies occasionally and enjoy standard HD films instead.